Travis Winters Blog: A pig and a cat! A pig and a cat! Over the past few week I have been working through some new ideas and concepts within my work. 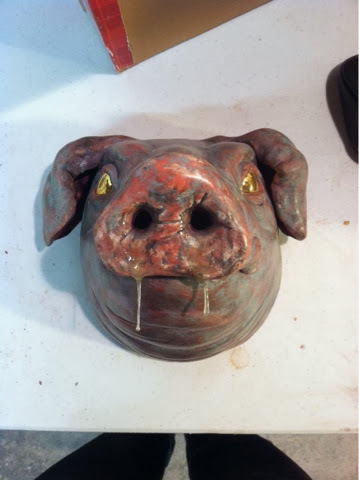 This is one of the wall mounted pig heads that I have been working on that is nearly finished. 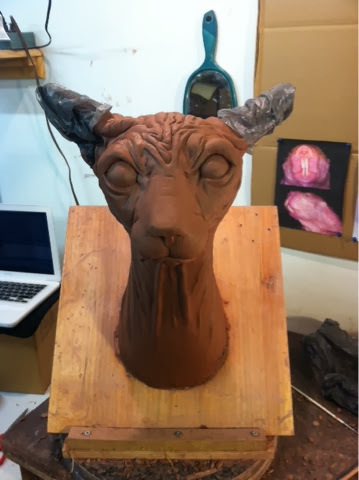 On top of finishing the pig heads and other things, I have started a hairless cat bust. Initially when I started this piece I invisioned it as a wall piece. But over the course or working on him I have developed some new ideas on what I want the piece to say.